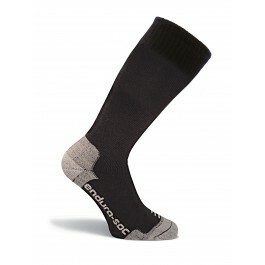 V12 Endura-Soc Black Cotton Calf Length Sock. 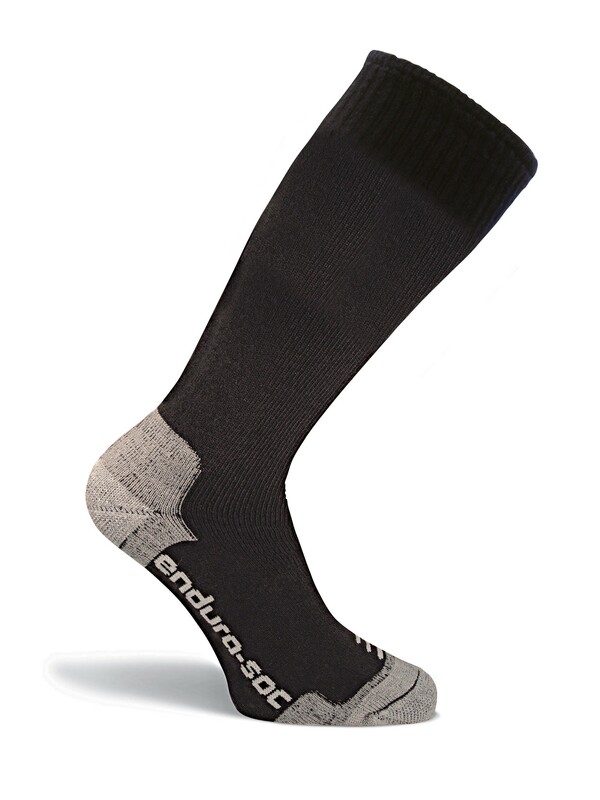 These socks provide unsurpassed levels of comfort with unbelievable durability. Using luxurious natural and technical fibres, this is the ultimate work sock. Right through to the final steaming to give lifelong shape retention V12 ensure that every pair recieves the same attention to detail. Available in sizes Medium to Extra Large. Loop pile lined for insulation. Flat knit toe with no rub seams.